In the morning im going to Pirámide de la sol. The Pyramid of the Sun is the largest building in Teotihuacan. At El Pirámide de la Sol it is a great acnient Aztec wonder it is amazing and huge. It is believed to have been constructed about 200 CE, and one of the largest in Mesoamerica. 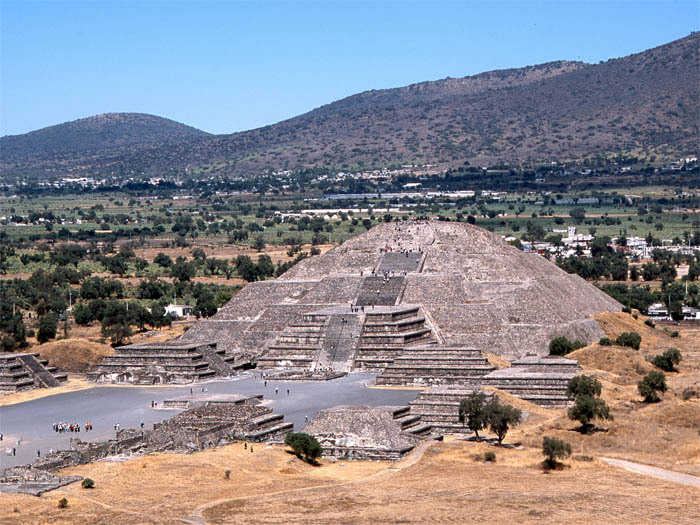 After we go to EL Pirámide del sol we will settle down and go to the second largest pyramid in Teotihuacan known as El Pirámide de la luna. When we are there we will look at the great Aztec Pirámide de la luna. Which means Pryamid of the Moon. Its the second best thing to look at thats not the Pirámide de la Sol. El Piramide da la luna was thought to be constructed in 200 and 250 AD.